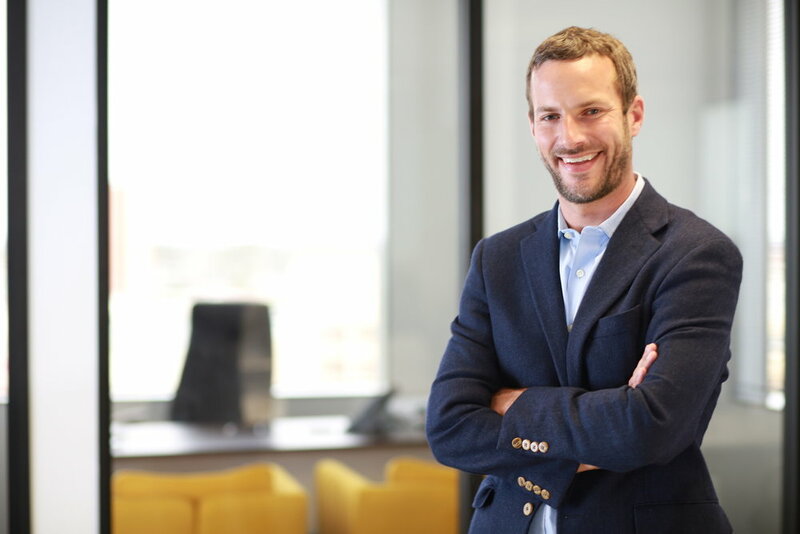 The Pulse spoke with Adam Boehler, the CEO and co-founder of Landmark Health. Adam shared how Landmark has been able to increase patient satisfaction, improve outcomes and decrease the total cost of caring for frail, complex patients in a way that puts consumer needs first. To learn more, be sure to catch Adam as a panelist in the policy session of our 2018 conference! Pulse: What was the market need you saw that prompted you to start Landmark Health back in 2013? AB: Like many health care companies, the motivation for launching Landmark was based on personal experience. In my case, that experience was seeing the challenges my grandmother faced as she spent the last ten years of her 100-year life in and out of hospitals. The U.S. health care system has not been built to optimally care for frail patients with multiple chronic conditions. Office-based care settings fail to fully address the needs of chronically ill, complex populations, which leaves the door open for unnecessary hospital admissions. Frequent hospitalizations drive up costs for the system and decrease quality of life for the patient. Nobody benefits. My cofounders and I wanted to change this dynamic. We wanted to create a service that brings meaningful care to the sickest patients where they are: in their own homes. Pulse: How does home-based care empower consumers? AB: The health care system is designed today as a one-size-fits-all-until-it-doesn’t model. Patients receive care from birth through old age in physician offices until one day they transition to long-term care. Our approach acknowledges that reality is much more nuanced. We built services specifically targeted to the unique needs of frail patients to allow them to maintain independence at home. We bring the care to them, when they call. It’s putting the patient – in this case a frail patient – right at the center. Instead of requiring patients to conform to the health care system, the health care system conforms to them. Pulse: Can you tell us a little more about how Landmark works? AB: A traditional 15-minute office visit can be to-the-point, hurried and filled with documentation distractions. Providers have little idea of what conditions at home might make compliance with their course of treatment challenging, and patients may withhold important questions if they feel rushed or uncomfortable. Landmark is a little different. The type of care a patient receives from Landmark during a scheduled appointment includes what she would receive in her doctor’s office. Yet it also offers the added benefits of staying at home, the full focus of the provider and the support of an interdisciplinary medical, behavioral, palliative and social services team. Visits involve medication reconciliation, prescribing, performing minor procedures and counseling patients on nutrition or health hazards in the home. Our doctors are able to build strong, trusting relationships with consumers thanks to small patient panels and visit lengths of 40 minutes. It’s also important to keep in mind that scheduled home visits are only one piece of our work. Our doctors work with interdisciplinary teams, and we also provide patients with 24/7 access to a triage line and on-call doctors who report to patients’ homes for urgent needs within an hour. Our patients retain access to their existing providers, and they can pursue any care that their health plan will cover. Landmark services are additional and at no expense to the patient. Somewhat counterintuitively, ours is a medical model that actually provides access to more, tailored care to drive higher quality and cost savings. Pulse: What opportunities are there for organizations like Landmark to expand their impact? AB: Right now, we take on risk by contracting with health plans that serve Medicare Advantage, dually eligible, Medicaid and Exchange/Commercial beneficiaries. We have been successful in improving outcomes, raising patient satisfaction and decreasing costs by adapting our approach to the type of care and management that older, sicker patients need. Medicare Advantage, however, represents only about one-third of the total Medicare market. Landmark and other risk-based provider groups would welcome the opportunity to take on risk for fee-for-service (FFS) Medicare beneficiaries as well. If consumers could opt into our services as an add-on to FFS Medicare, it would ultimately save the government money and provide more patients with home-based care and 24/7 triage without restricting their access to other parts of the health care system. Pulse: Which companies do you admire with innovative approaches to delivering high quality, patient-centered care? AB: We really respect the work that other risk-bearing physician groups are doing. Advanced physician groups (APGs) like Iora Health, Oak Street Health, ChenMed and others all have great care models and are important leaders in the space. We all are similarly mission-driven and generally like to root for one another. On the concierge side, One Medical is an innovative company with a consumer-centric mentality. Pulse: If you had $15M to invest in the health care industry, what would you explore? AB: I’ve always been interested in ideas revolving around how you could reengineer a hospital. Have you seen the McDonald’s movie Founder, where they rethought the whole concept of what a restaurant should be and how it should operate? We could take a similar approach with hospitals – turn what we think we know about operations, technology, layout and staffing on its head to better serve patients and help create an ideal future health care environment. While the industry in some flux, hospitals provide important services and are not going to go away, so it would be great to think about the future state. I’m also very interested in how you could allow consumers to dynamically select their own networks in a health plan. Using narrower, high quality networks can drive cost savings for plans and patients alike, yet even healthy patients, myself included, are often hesitant to lock themselves into predetermined, restrictive networks. We instead often opt for broader, more expensive PPO networks. If you allow a consumer the autonomy to selectively narrow his own network, satisfaction and cost savings could rise as consumers elect to pay for precisely the network they value – no more, no less.